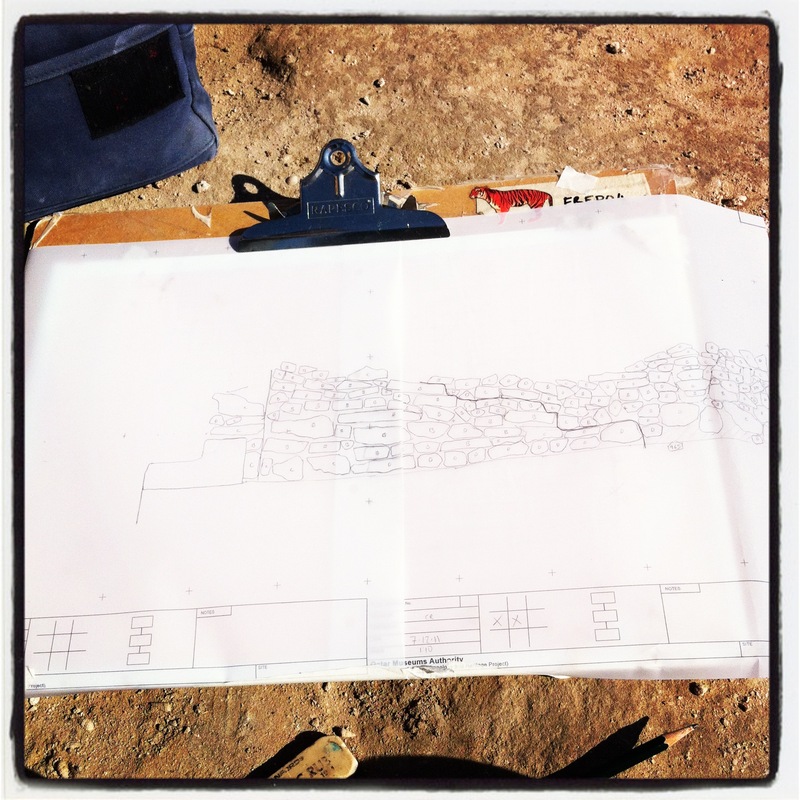 Drawing is probably my favorite thing to do in archaeology, but I try not to tell anyone that, because you end up drawing all of the time for the people who don’t like doing it. 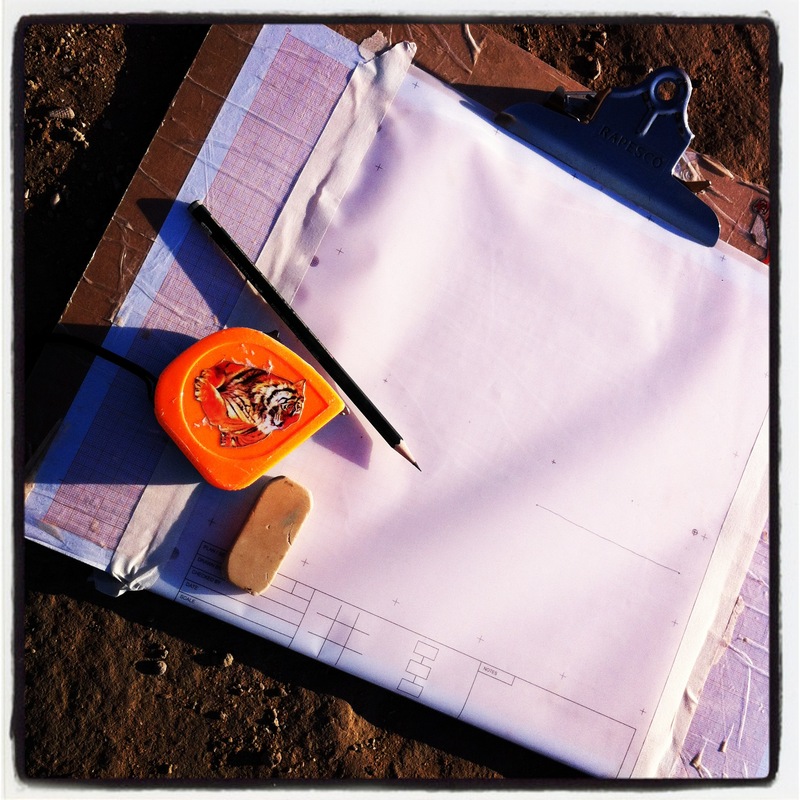 I find it a peaceful exercise, one of the times when I can be truly alone on an archaeological site. I usually wear headphones and listen to music, as it allows me to focus–I can draw about twice as fast. Some archaeologists have switched to photogrammetry and automatic drawing programs, but I find that there is little point in it. Drawing something is the only way that you truly see something. It can be inaccurate, sure–the point of view of the archaeologist can change the shape of rocks radically. 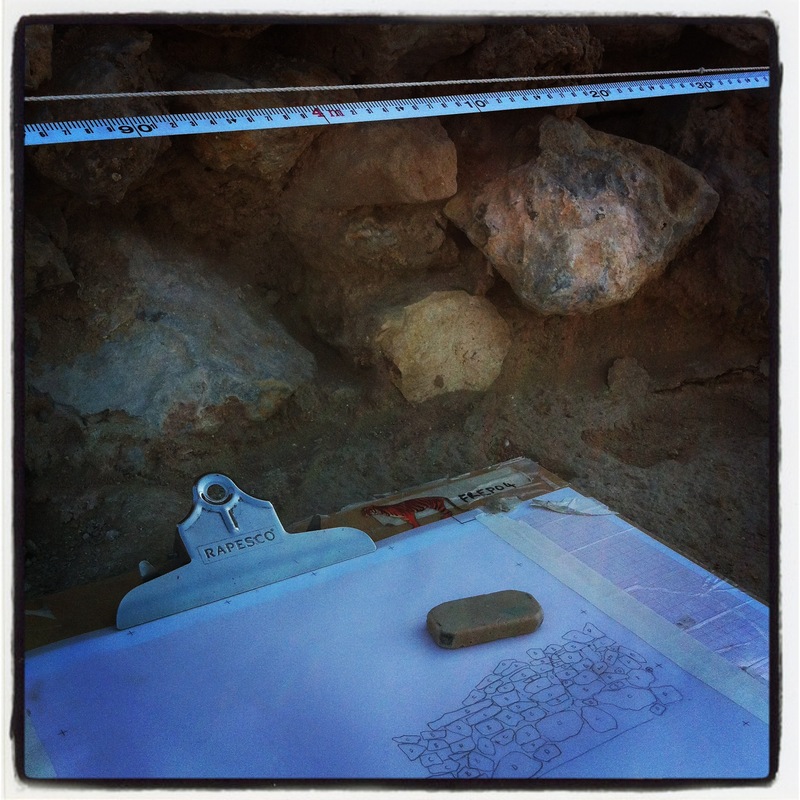 Even when making scaled drawings, each archaeologist has a separate style. Some depict the rock faces, or try to show texture. I try to see them as silhouettes, shapes that relate to each other. That, and I have a heavy hand–my lines are dark, even using a 6H pencil. 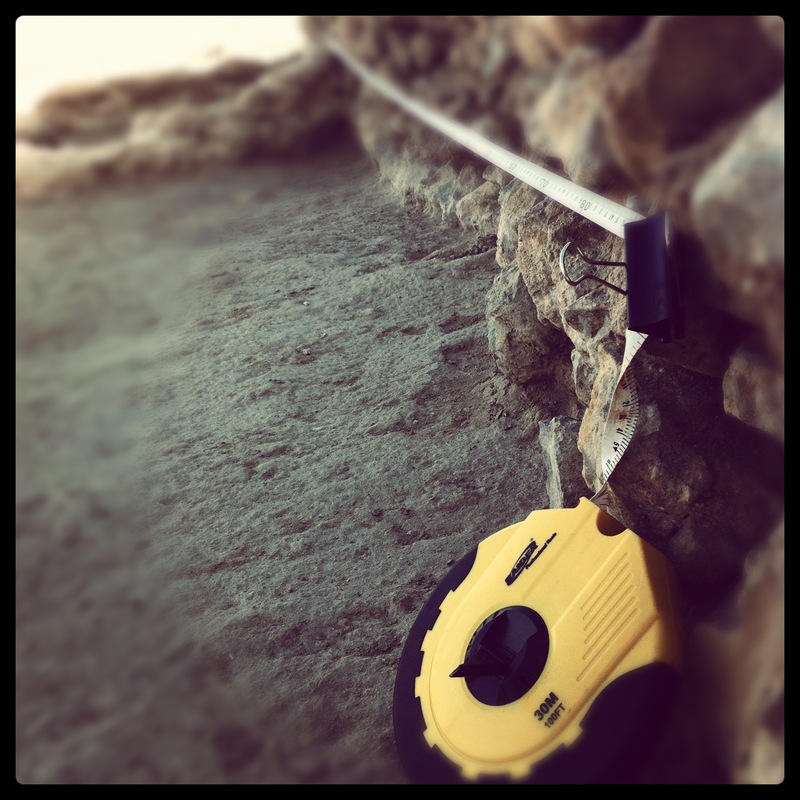 I usually draw relatively “freehand.” I have a couple of tape measures that I reference once in a while, but once you draw enough rock walls, you can see how they fit together, how the coursing works, which direction the wall was built in. The worst is planning tumble, or burnt rock middens. 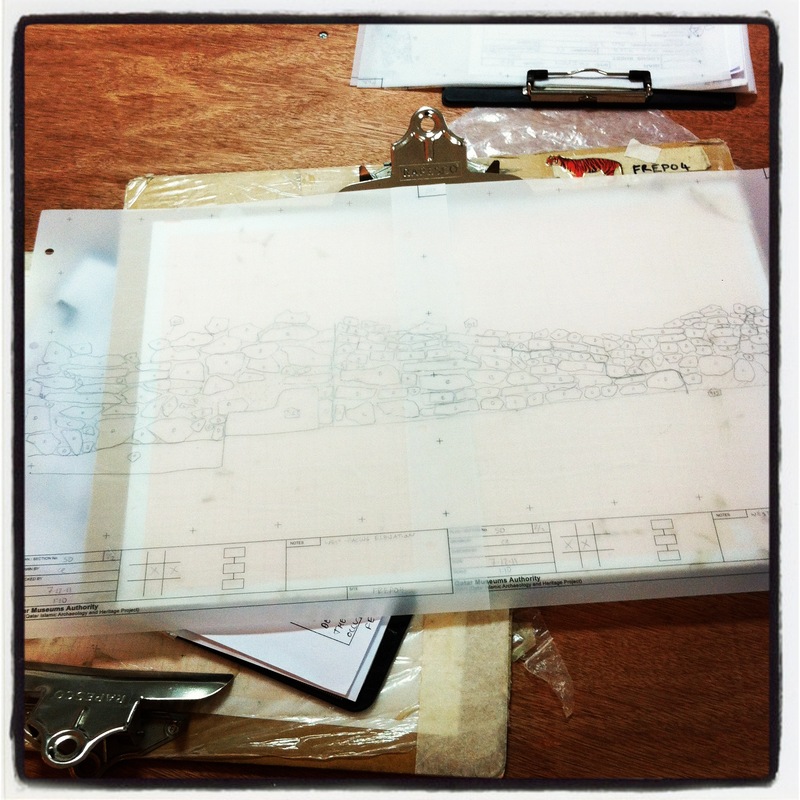 Today I drew a 5m long, 1:10 elevation depicting the relationship of four walls. They are each distinctive, built with different kinds of stone, and two of the walls were joined by a long, diagonal seam. It took me about 3 hours, start to finish, with interruptions. It isn’t my best, or most favorite drawing, but I found it satisfactory. It was a good day.